A former 19th-century hardscrabble penal settlement evolves into a 21st-century world-class city. Sydney, nestled in a gorgeous harbor, is known for its nature, including the Royal National Park, Royal Botanic Garden, and Hyde Park. Fueled by a massive immigrant influx after World War II, as well as its large indigenous Aboriginal population, the city has transformed into a brash global powerhouse, famed for its sports and nightlife. Immerse yourself in Sydney's vivacious culture with Context's private and semi-private guided tours. In Sydney, we offer our signature private and semi-private guided tours to create an intimate, hands-on experience. 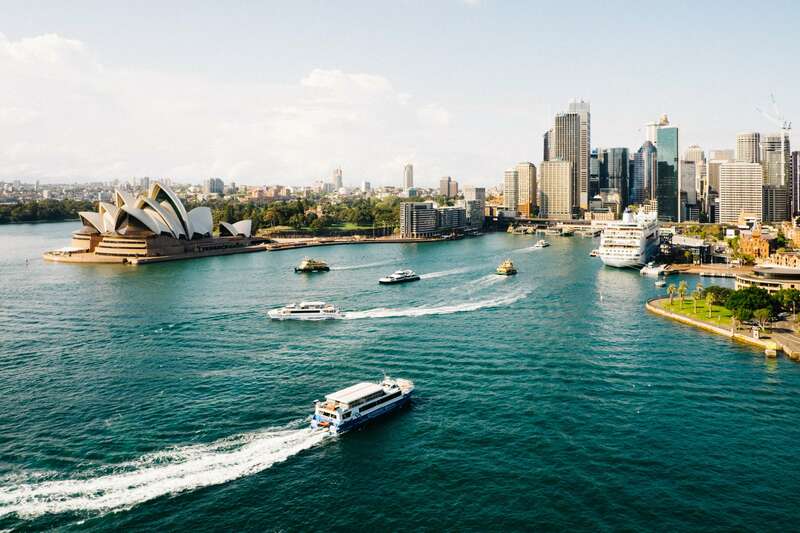 In addition to our set tours designed around a topic or theme, we can also put together any variety of the custom private Sydney Day Tour with one of our local experts. This can last just 2 hours or all day, and can go as far afield as the Blue Mountains. If you love history you might want to join our Making of Sydney History Walking Tour, which gives a wide overview of Sydney's history from the arrival of the First Fleet to today's cosmopolitan city. To dig a little deeper into history, we also offer a Rocks Tour that focuses on Sydney's social history, including immigrant groups, labor strife, and the bubonic plague.